Movies and TV shows might make it look easy, but creating a good video can be quite involved. While you don’t need to be the next Steven Spielberg, a few foundational steps will go a long way in bringing up the level of your production. These seven pointers are just a few to get you started. Since every video shoot is different, bear in mind that these are more like guidelines than hard and fast rules. Locate the assignment and click on Edit then Edit Settings. Locate the Parent category area, check the Extra credit box and click on Save changes. 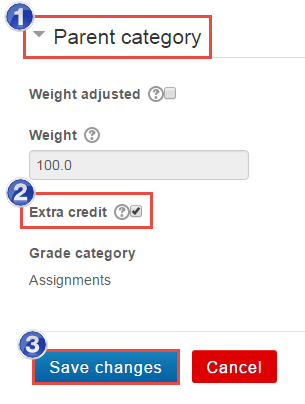 Notice that now in the Categories and items area, a ‘+’ will appear in the ‘Max grade’ column for an extra credit assignment. Note: When the extra credit checkbox is ticked, the grade item’s maximum grade is not added to the category’s maximum grade, resulting in the possibility of achieving the maximum grade in the category without having the maximum grade in all the grade items. I love working in webmail, but I don’t like how small the “Reply” editor is. Here is a short video showing you a few different methods for giving yourself more editing room while authoring a Reply or Forward in webmail. Here is a video tutorial showing you how you can use the Groups, Playlists and Reporting features offered at lynda.com to assign different tutorials to students in a class, student workers under your supervision or full-time Colby staff under your supervision. Have you been frustrated recently with how your Mac doesn’t scroll like it used to? If so, I hope you find the tips in the video below helpful. As was recently announced via General Announcements Google has changed the login screen for services like webmail, calendar and Drive. In addition to the new look, you will now need to enter your full e-mail address when logging in (your alternate e-mail address will not work). Below is a screenshot of the new login screen. Google recently added a new feature to the Drive experience called “activity stream”. The idea is to provide a single, easy-to-view place to review every action taken on your files and folders. Learn more here. Have you ever wanted to insert a table of contents in your Word document, but aren’t sure how? The video below will show you how to do just that on both a Windows and Mac computer. Below is a video tutorial on how you can set your out-of-office automated e-mail reply message. Have you ever needed to insert page numbers in Microsoft Word but you want those numbers to start on a page other than the first page of the document? The video below will show you how to do just that on both a Windows and Mac computer. Google recently moved the links that had appeared at the top of your screen in a dark toolbar to a menu accessed by clicking an icon with 9 small black squares. Below is a screenshot showing the old and the new ways to access these resources.